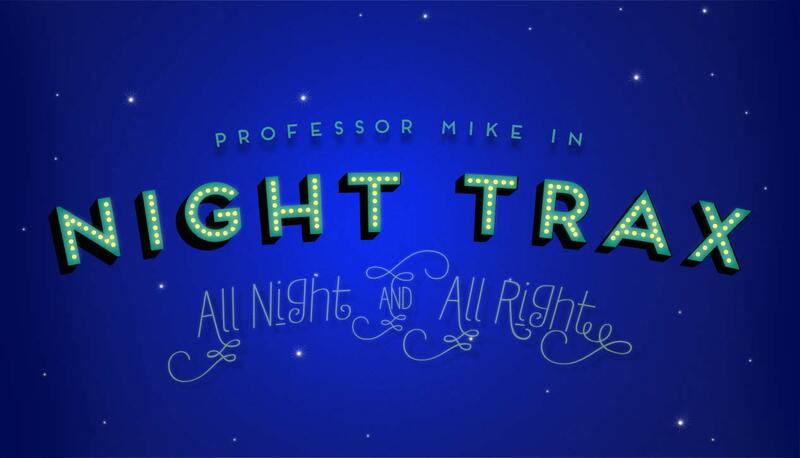 Hello Everyone and welcome to the first of two very special editions of Night Trax as we celebrate out 250th Episode and in one week from now will be the 5th Anniversary of the show''s launch January 20th, 2014 and hoping you continue to support this program with your questions, comments and suggestions and in our second hour will be doing a tribute to Bob Einstein aka Super Dave Osbourne who sadly died almost two weeks ago at age 76. Hope you enjoy this week's funfest and have a great week as well. I have listened to parts of hundreds of overnighters on CKCU that never lasted as long as Night Trax! Good morning Professor ‘Mike Congratulations on 250 episodes and five years of being on the radio. What a mile stone! With more goals to reach in 2019 for you. This will be a monumental year. Thank you for the shout out. Indeed and with 250 shows in the books and this show keeps growing week after week and went from a little show that could to a big show.